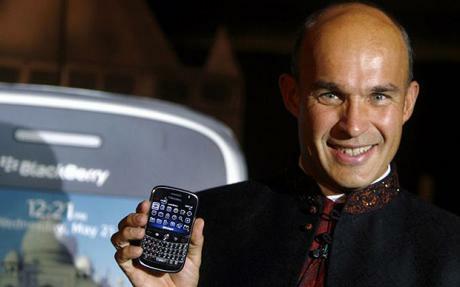 Balsillie: "We think many customers are getting tired of being told what to think by Apple." The war of words between Apple’s Steve Jobs and RIM Co-CEO’s Jim Balsillie and Mike Lazaridis is heating up. First there was the almost comical response to “antenna gate” -the iPhone reception problems that were mysteriously aided by a plastic case Apple announced it would give away after the debacle. Now it’s RIM’s response to Job’s five minute tirade against RIM and Google during Apple’s recent conference call (shown below). If you have reception on your mobile device, stay tuned.